I had the pleasure of attending the opening of the new Ann Taylor concept store in Chicago last Friday and Im still on sensory over load! The new design and store layout made me feel like a kid in a candy shop; overall the store had this je ne sais quoi”, this revised chicness. I attend the event with my friend and she call tell you that I couldn’t focus on a “hi, how are you”. The neon silks, neon accessories and vibrant color bottoms had my brain spinning in a color blocking tornado! The new collection does exactly what every collection should….pushes you out of your comfort zone and forces you to try things that you may never have tried before…..again, takes us back to being bold and challenging ourselves! Today I would like to share with you all the little nuggets that I found while sipping on champagne and eating truffles…..I try to be fancy, just try! This orange skirt spoke to me; I spotted it as soon as I walked in the store as if it was love at first sight! The skirt was paired with a luxurious pink button down silk blouse; if color blocking was an sport, Ann Taylor would be a first team All-American. These doubleweave cropped pants were all sorts of magical that I bought them in pink and blue. For Spring or Summer, these pants are great to wear and can be perfectly paired with just about anything. Feel the pant is too bold? 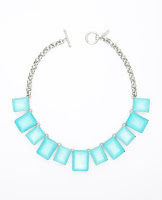 So go with a neutral/white blouse; something to mute the color. Feel the pant isn’t bold enough? 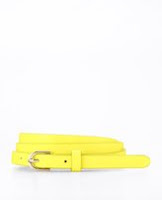 Try adding a neon skinny belt, along with a bright vibrant blouse for that “build your own” color blocking affect. The day cannot go on unless we talk about dresses, don’t you agree? This 3/4 sleeve sheath dress I find to be extremely versatile……wear it casually, wear it dressed-up, wear it in the winter with tights, wear it in the summer with pumps. When a dress has the ability to be worn three different ways, I say don’t even hesitate…buy it! Now, the shape of the dress is slightly boxy, but nothing a skinny belt can’t fix…….maybe that was their ploy all along….hmmmmm, very clever Ann Taylor. I simply want to mention I am just newbie to blogging and certainly enjoyed your web site. Likely I’m likely to bookmark your blog post . You amazingly come with superb stories. Appreciate it for revealing your website.